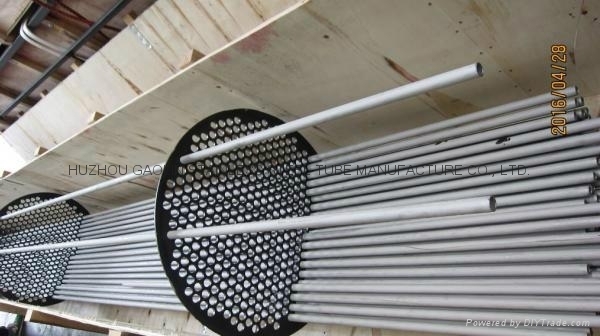 Seamless Austenitic Alloy, Ferritic/Austenitic-Duplex, Nickel Alloys Boiler, Superheater and Heat-exchanger Tubes. 01. Commodity: Seamless Austenitic Alloy, Ferritic/Austenitic-Duplex, Nickel Alloys Boiler, Superheater and Heat-exchanger Tubes. 04. Material: TP304, TP304L, TP304H, TP310, TP310S, TP310H, TP316, TP316L, TP316H, TP316Ti, TP317, TP317L, TP321, TP321H, TP347, TP347H, N08904/904L; N04400, N06600, N06625, N08800, N08825; S31803, S31500, S32205/SAF2205, S32304/SAF2304, S32750/SAF2507, S32760; 1.4301, 1.4307, 1.4401, 1.4404, 1.4410, 1.4462, 1.4539, 1.4541, 1.4571, 1.4845, with corresponding GB, ANSI, EN, JIS, BS & ISO material designations. 05. Specification: JIS G3463, EN10216-5, EN10297-2, DIN 17456/17458, DIN 2462, ASTM (ASME) A/SA 213/M, A/SA789, BS3059/3606 & GB13296.